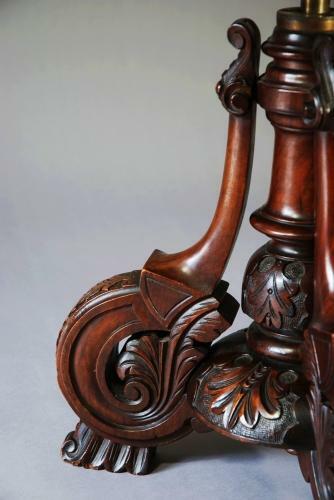 Victorian carved walnut piano stool, circa 1870, with adjustable height mechanism for seat. This is in very good condition & excellent working order. The base is very ornate & has 3 carved acanthus scroll-shaped supports around a carved & turned central column.